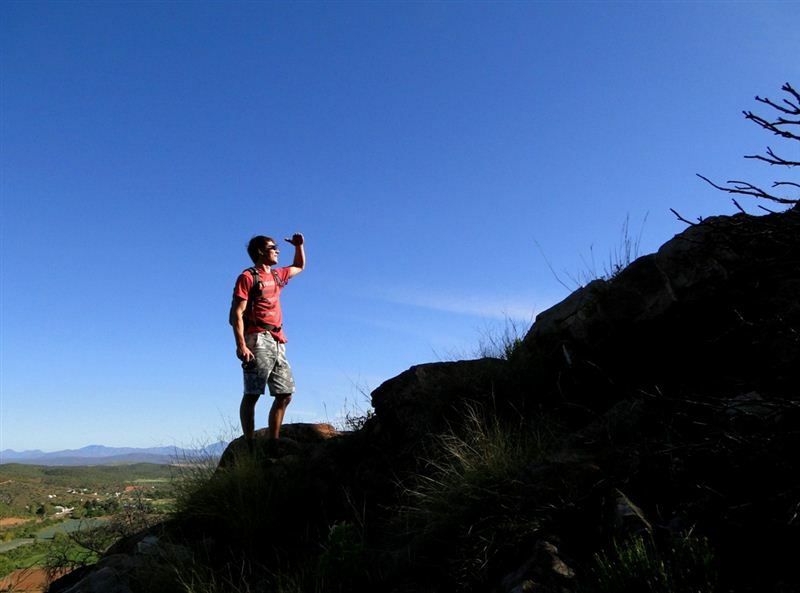 Kranskloof Country Lodge is a true paradise for nature lovers, families and birdwatching enthusiasts. 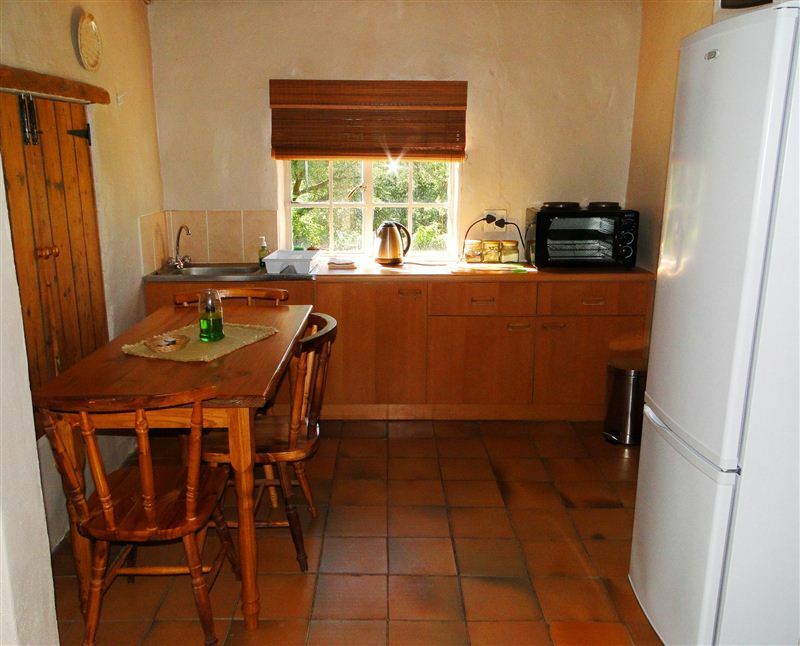 It is set in the heart of the Klein Karoo and offers wonderful views of the green Schoemanshoek Valley and the impressive Outeniqua Mountains.<br /><br />Four self-catering country cottages are comfortable, tastefully furnished and fully-equipped. A child-friendly atmosphere ensures that every family feels at home. Guests can cool off in the saltwater swimming pool and kids can work off excess energy on the trampoline. 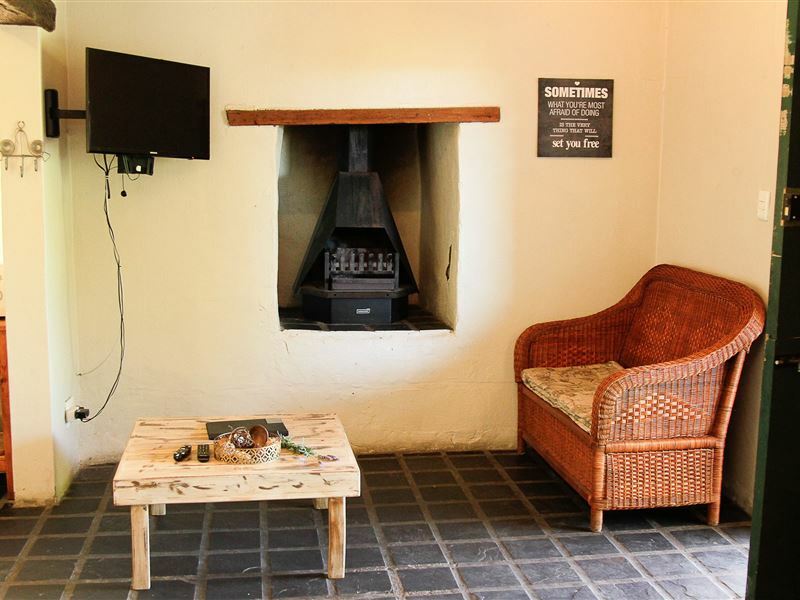 Each cottage has a braai area with standing braai&apos;s.<br /><br />Discover the scenically beautiful valley or visit local attractions such as the breathtaking Swartberg Pass, the impressive Cango Caves, the Rust en Vrede Waterfall, the family-friendly Cango Ostrich Farm or the Cango Wildlife Range just to name a few. "After a very difficult year concerning my health, we wanted to get away from the rat race, and this was the answer to our prayers. 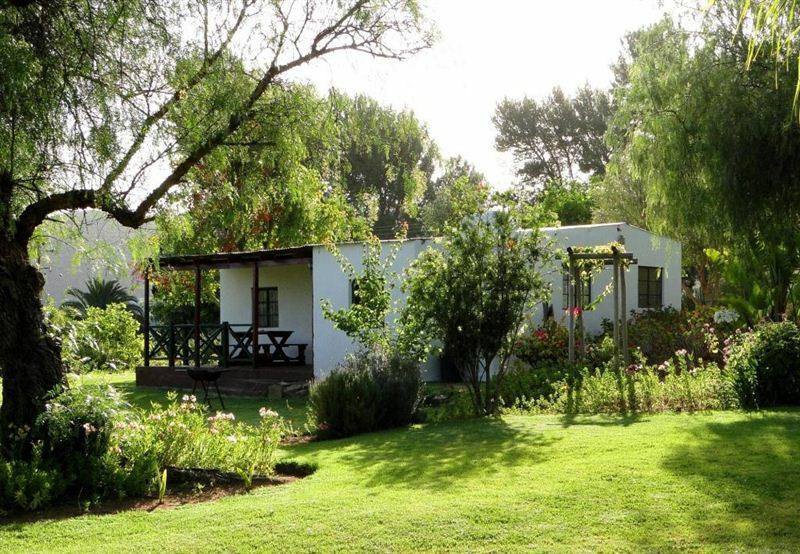 The cottage was clean, had everything we needed, cool on the very hot days that we were there, add a splash pool to cool off in, lush green lawns, bird song and beautiful nights under the stars. Very caring and friendly hosts, ticked all the boxes for us. Feel like a new person." "The place is amazing. Would look at the kitchen stuff a bit if I were the owner." "We loved the peace and beautifull garden. The owner was very friendly and helpfull. 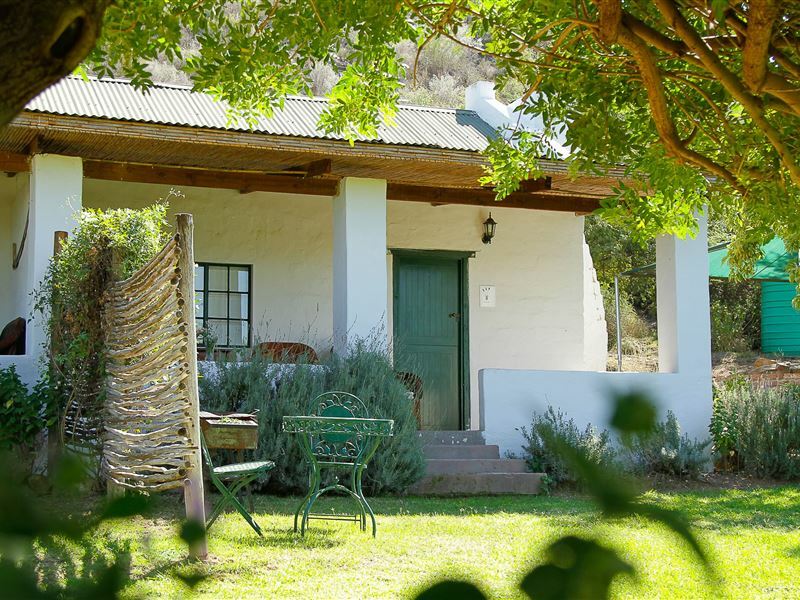 We visited the Cango caves and Swartberg pass and Meiringspoort, which both are recommendable." "Was OK. Friendy welcome. Underwelmed by gacilities. Not really value for money." "Very convenient for Canon Caves. A lovely setting and very friendly reception." "Lovely cottage with stunning gardens and views"
"Pleasantly surprised by the quaint cottages and exquisite surroundings. We had everything we needed from firewood (for indoor fireplace in the kitchen or outside braai), electric blankets, DSTV, jacuzzi bathtub (two bathrooms!) and induction stove! We could have stayed a lot longer! Next time we&apos;ll come when it&apos;s a little warmer to enjoy your garden and lovely pool." 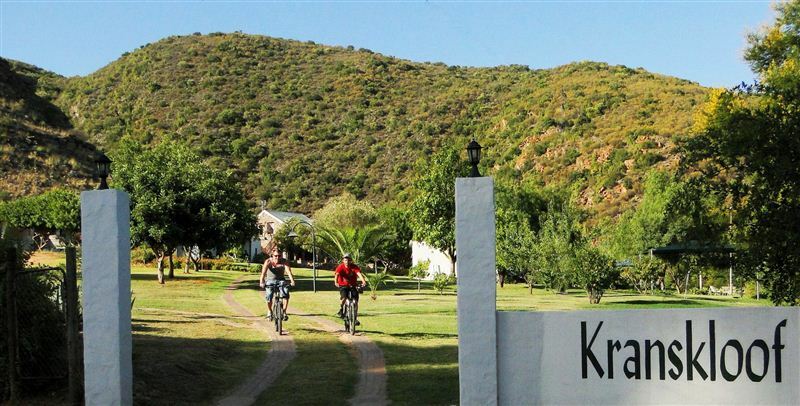 "We enjoyed our stay at Kranskloof. 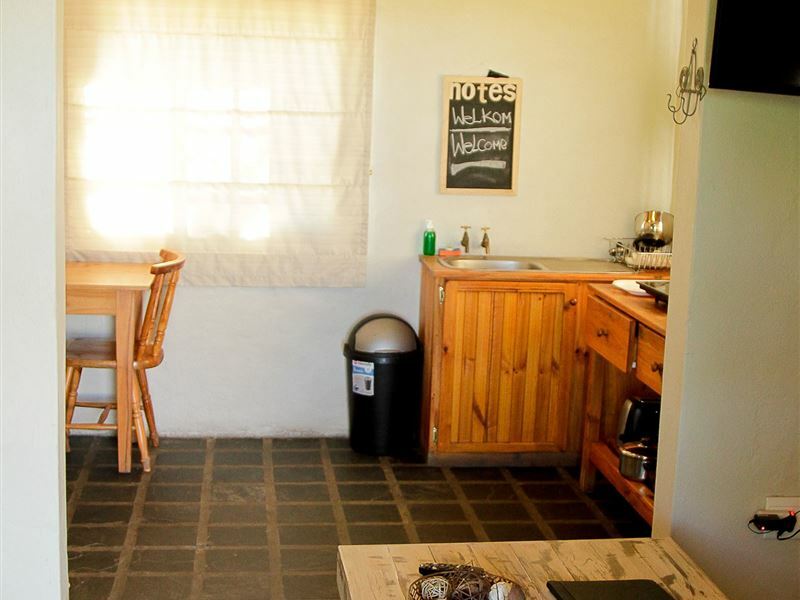 The cottages are very basic and quite rustic though, so don&apos;t expect anything fancy!Our stoep was big with a lovely braai, which we thoroughly enjoyed.Unfortunately the toilet seat in our bathroom was broken, something which I really don&apos;t like!" 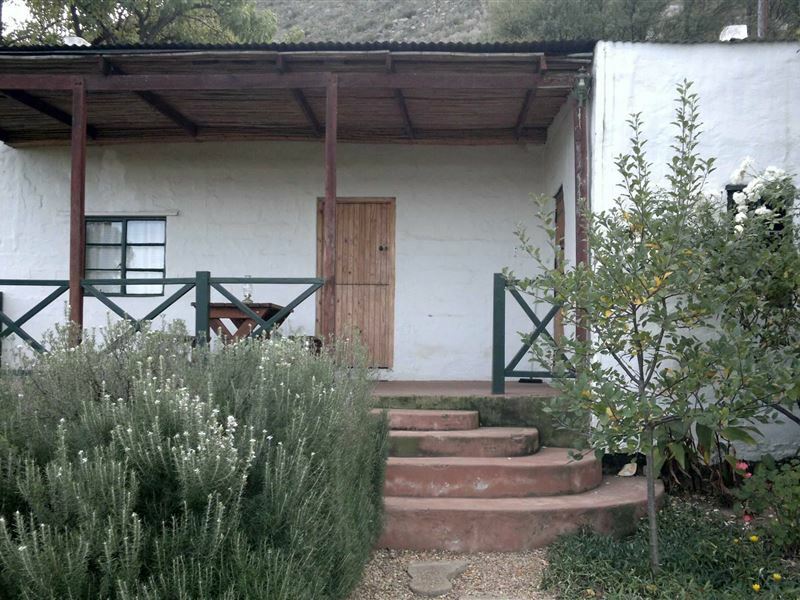 "We spent three nights at Kranskloof while attending a conference nearby. The accommodation and setting is great although the furnishings and linen is a bit tired. What was disappointing was to find the cottage only equipped with one mug and no teaspoons. Our cottage had a nice fireplace and even though we bought wood for a fire, once in the cottage there were no matches or kindling to start a fire. We were very pushed for time so could not address these concerns at the time of arrival. Once they were mentioned to the owners all was rectified but it is the little detail that so often trips one up.All in all it was good value for money but check the detail when you arrive." 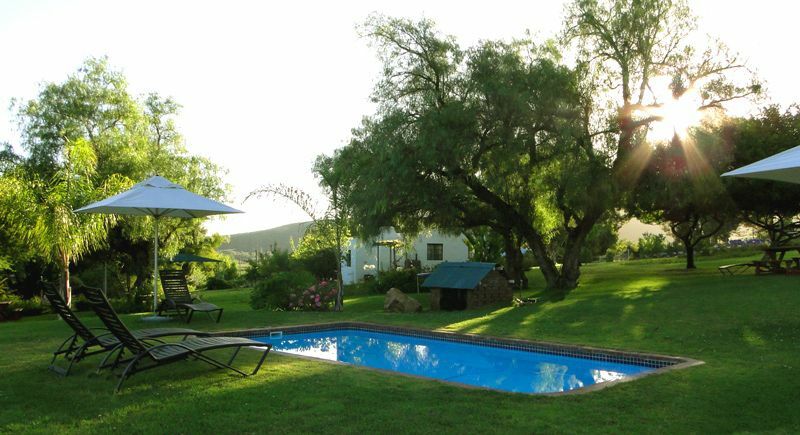 "A beautiful setting and comfortable cottage - we stayed in the Blue Room. However the room had a very strong odour of mothballs which was quite off putting. We happened to be there during a torrential thunderstorm and our room did have a few leaks. One of my pet hates is 1 ply toilet paper and unfortunately that was what was provided. The owner was very helpful in providing us with lanterns in case of a power failure during the storm."